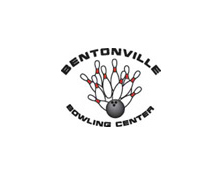 Pick up strikes and spares during tournaments, group parties, or league play at our bowling alley and family entertainment center in Bentonville, Arkansas. In business next to Fred's Hickory Inn™ on Walton Boulevard for more than 35 years, Bentonville Bowling Center is an alcohol- and smoke-free bowling alley offering upgraded lanes and friendly service for all bowlers! Bowling is a great form of family entertainment and exercise, so contact us for more details on our center, lane availability, or our ongoing bowling tournaments. fun and a great bowling experience.